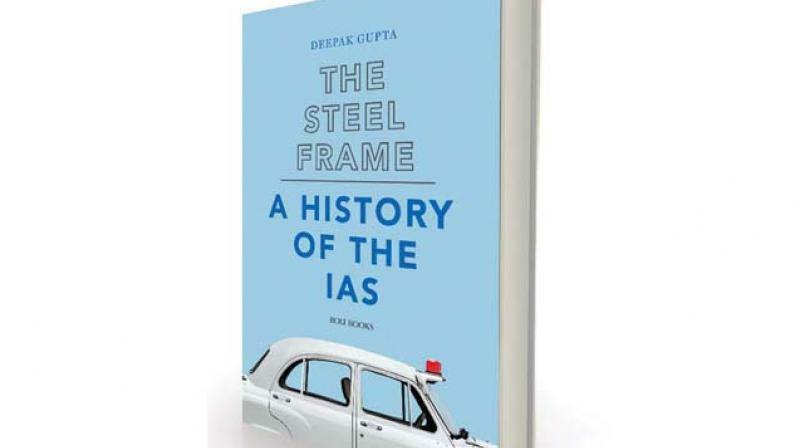 The core of the book is an extended review of the historical context which led to the formation of the IAS. This book is not a quickie, neither to read, nor would it appear, to write, from the diligent research that has gone into it. The best read book in this genre has been Phillip Mason’s The Men Who Ruled India (1954) — a racy account of the British administration in India, by one of their own — Mason was a British Indian civil servant from 1928 till India’s independence. It is a crowded field which Deepak Gupta enters. The bibliography records 97 publications over the last 60-odd years, authored by Indian retirees from the civil services. Gupta himself is a distinguished retiree from the IAS and comes from a family of similarly distinguished administrators. Not surprisingly, Gupta subscribes to the broadly accepted view amongst those who are insiders to the civil service milieu that “… the present administrative structure, albeit with certain structural changes, best suits our requirements… the IAS is both desirable and necessary”. Not many would quibble with this formulation although the extent of the restructuring required might leave little of the original ethos, except the nomenclature. The author suggests restructuring along the principles of merit-based promotion (rather than seniority and possibly without extending affirmative action beyond selection); adequate protection for officers who might have made honest mistakes and purifying the IAS of the corrupt and the inefficient the last being an impossible dream without the national political ecosystem changing first. To deal with the lack of specialist skills at the top he favours enlarging the use of “lateral entry” or the induction of specialists for specific tasks at the levels of joint secretary. The Modi government is the first to use this mechanism more widely than earlier. But the potential for partisan appointments lurks. The author’s solution is to route all such selections through the Union Public Service Commission an institution constitutionally mandated to manage government recruitments, which has retained its credibility amidst crashing institutional reputations all around. He advocates extending the Commission’s mandate to all promotions at senior-level positions including those in the state governments, beginning with the selection of the state level director generals of police, which per the Supreme Court’s recent orders requires the consent of the Union government. This is a dodgy departure, which can be viewed as breaching the constitutionally defined division of powers. Wisely, the author recommends that all lateral appointments must be based on detailed eligibility conditions, job descriptions and a well-defined selection criteria and matrix to minimise the extent of discretion. Such reformed practices are desperately needed for the ever-increasing appointments to regulatory or appellate commissions and committees, which are often viewed as shoe-in opportunities for government favourites. The author argues against a proposed change in the scheme for allocating successful candidates from the UPSC combined entrance examination to a particular service. Currently, a combination of the marks obtained and the candidate’s choice is used. The Union government proposes to add weightage to the marks obtained in the evaluation done at the National Academy of Administration, post selection, during the foundation training period. The fear is that political pressure brought to bear on the Academy’s director might lead to unfair evaluations and skew the outcome against less privileged candidates. Hardly anyone would disagree with this view. If the change is intended to make the probationers take the training seriously. Another way of achieving this objective could be to make the curricula and pedagogy more relevant and interesting than it is currently. But more has been said than done about administrative reform. More than a dozen government committees have studied administrative reforms as a whole, or specific aspects of it and recommended in situ changes. Some of these recommendations are reflected in two separate chapters devoted to the scheme of the selection examinations and the subsequent training during probation. The core of the book is an extended review of the historical context which led to the formation of the IAS. A full four chapters out of nine look closely at how a service devoted to further the cause of a “civilising empire” was born and nurtured a truly unique institution which allowed a small number of British officers to rule millions of Indians by collaborating with Indian landed elites and co-option of middle class through directed spread of Western education, into willing servitude in subordinate administrative positions. It is unsurprising that the IAS has survived as the successor of the ICS. As the author elaborates, this is aligned with the copycat political architecture we continued post-Independence. The IAS and the other central services became the only avenue for the educated middle class to fast tracked careers because options in the private sector were constrained by the initial four decades of ersatz Socialism. The strategy of co-opting provincial elites has been continued by reserving one third of the posts in the IAS for promotion from the provincial civil services albeit at such advanced stages that they can never be competition to those recruited directly. The business of administration at the field level has become increasingly complex as state functions expand and empowerment of the local political elite grows. The task of the district officer even now regarded as the core task of the IAS is no longer just a training ground for higher policy-making. District administration is a management area by itself. An entire career should be devoted to just this aspect if effective functioning is to be revived. The problem is an alternative service, which does exactly this, already exists. Each state government has a directly recruited provincial civil service whose members are more experienced and better suited for working at the grassroots level. A remodelled IAS might be relevant as a policy support arm of state governments. But this would mean recruiting subject specialists who have a relevant PhD. As the author notes, public policy programmes are attracting students and this might be a good way to go. The bottom line is that Sardar Patel’s “steel frame” to bind the country now includes every Indian citizen and the national political parties, not just the All India Services. As Prime Minister Modi would say, he and not the Cabinet Secretary of the Government of India, is the “chowkidar” at the gate holding “barbarians” at bay. A fully developed and politically hyperactive democracy, like India, needs deep structural reform in how we are governed to reflect this change.